It’s been a busy couple of weeks for Great Lakes policy! Thanks to you and thousands of our other Great Lakes advocates who have signed petitions, written letters, and made calls, we’ve had several exciting policy wins. Great Lakes Funding Restored – The Great Lakes Restoration Initiative is fully funded at $300 million. This is a victory for Great Lakes champions, given that the White House proposed zeroing out the program. Asian Carp Study Funded – Last summer, pressure from advocates like you forced the U.S. Army Corps of Engineers to release its study on additional Asian carp protection measures at the Brandon Road Lock & Dam in Joliet, IL. The budget bill includes full funding for the Corps to continue work on the study. Congress also included language urging the Corps to complete the study by February 2019. Bad Ballast Bill Stopped – One thing not included in the budget bill is a provision to weaken ballast cleanup rules, undermining aquatic invasive species protections. Congress listened to thousand of advocates like you, instead of industry lobbyists who urged adding proposals to gut existing ballast cleanup rules to the budget bill. 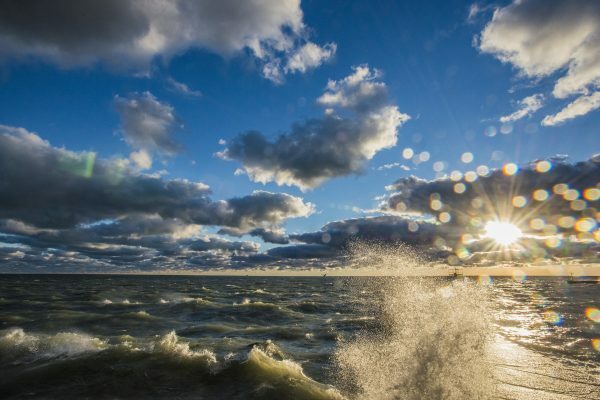 On Thursday, March 22, the Ohio Environmental Protection Agency listed the open waters of western Lake Erie as “impaired” under the Clean Water Act. This brings new tools to the fight against harmful algal blooms in the lake. Advocates, along with thousands of Ohio residents, have called for this designation for several years. And we even took the issue to court last year. Listing western Lake Erie as impaired is the right thing to do. For Ohio to reach its aggressive pollution reduction goals, the state will need to adopt specific, accountable measures that address phosphorus, the root of the harmful algal bloom problem. Thank you! You’ve got a lot to be proud of and you’ve helped set a strong foundation for even more Great Lakes victories in the future. And, thank you to the strong bipartisan Great Lakes coalition in Congress for listening and protecting the lakes. There is always more to do! Head to our action center to keep up the momentum.